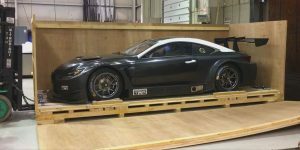 FCA Packaging designs and manufactures high volume custom shipping crates, pallets, platforms, skids and other packaging for storage or shipment of industrial products from 30-ton turbines to small engine parts. 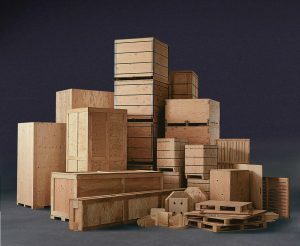 We design our crates to fit the unique configuration of your product as well as your supply chain requirements. Our engineers will design a solution that provides maximum protection of your goods in the most economical manner. Your crate can be made from wood, metal, plastic, or other materials. We have 30 years’ experience in creating custom crates for a variety of fast moving and cost sensitive industries. With a location near you, we can complete your work in a timely manner and if necessary complete the work on site with just-in-time services. We can reduce your packaging leads times from days to hours. Our industrial crates accommodate heavy products, light products, industrial machinery, electronics, and any product that needs safe and economical packaging. Our crates are easy to dispose of or can be designed for re-use. We even offer collapsible crates for fast, easy set-up which can be disassembled after use for easy storage. Call us at 888.752.4215 or fill out our form and we’ll put you in touch with your local FCA manufacturer to help you start saving time and money.